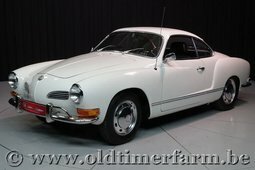 We all know the ordinary VW Beetle, or the “love bug” VW T1, but there was an even better version - the stylish VW Karmann Ghia. At the beginning of the sixties, the rise of VW Beetle sales came as a surprise to VW themselves, and so the company took a logical step and started looking for a more interesting project. With the budget Beetle and the T1, a future hippie icon, behind their belts, the company management started thinking about creating a sports car. The idea was very simple: to create a coupe that was as good-looking as possible by using as many of the existing Beetle parts as they could. 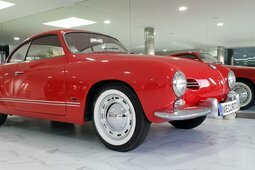 No eye-catching two-door sports car had ever come out without a touch of Italian style, which was the reason why the Ghia body atelier was entrusted with the style design and did a marvelous job. The precise technical implementation was guaranteed by Karmann, already a trusted partner in the production of the VW Beetle. 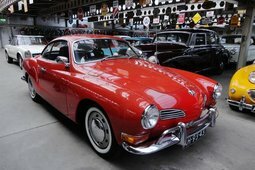 As a result, the VW Karmann Ghia (now known as Type 14) was born in 1955. It was not a pure sports car, but was rather a wolf in sheep's clothing, as its 1.2 engine only had a 30 hp boost. 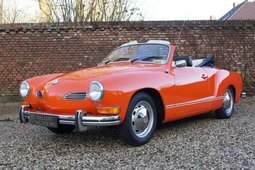 However, with the looks of an expensive Italian coupe and the price of a VW, the Karmann Ghia never suffered from a lack of customers who were willing to pay extra for this improved little bug, with 10,000 cars being sold by VW in 1956 alone. A cabriolet version of the vehicle was launched in 1957, followed by more powerful versions with a top of the range 1.6 60 hp engine in 1971. By 1974, VW had made 445,000 (coupe + cabriolet) units of the Type 14, the majority of which ended up in the United States. Due to the legendary reliability of the bug platform, of which we all are well aware, it should not be difficult to find a well-maintained car today. 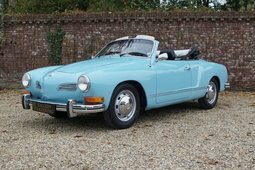 Even though you can expect to pay over 15,000 EUR for a decent car, it will be a better investment than an ordinary bug, as the price of the Karmann Ghia is now climbing at a faster rate. But wait. This is just one part of the story. 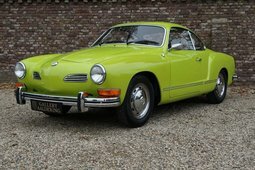 As the Beetle was enjoying record-breaking sales each year, and the success of the Karmann Ghia (Type 14) was also beyond expectations, VW decided to go upmarket. 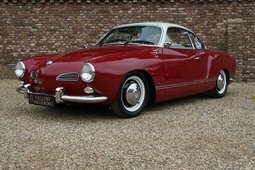 In 1961, VW presented its most luxurious model to date, the 1500 Karmann Ghia Coupe (the official name, but we know it now as Type 34). 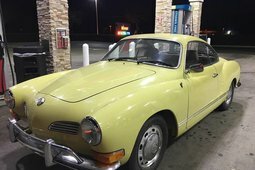 Besides the name, this car had little in common with the earlier Ghia, because it was based on the new VW Type 3 while the Type 14 was based on the Beetle. 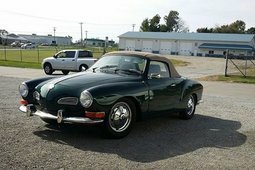 Because the name was the same, the new Ghia was called different things - "Der Große Karmann" ("the big Karmann") in Germany; the "Razor Edge Ghia" in the United Kingdom, and the "European Ghia" in the USA (because it was never officially sold in the US due to low prospects). 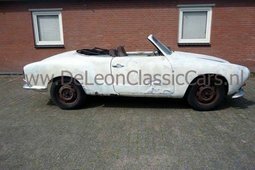 Nowadays, these models are commonly distinguished by their VW platform types: the old Ghia - Type 14; and the new Ghia - Type 34. 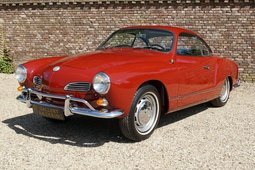 Although the new Ghia was quite luxurious (one of its options was an electric sunroof), it was not more sporty than Type 14, and it subsequently shared the same 1.5 53 hp and 1.6 60 hp engines with Type 14. 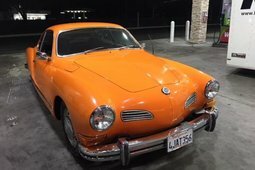 Besides this, there were not too many customers who were willing to pay a price that was even higher than that of the Ghia Type 14, which meant that the original Karmann Ghia was produced for 5 years longer than its younger cousin born in 1961. The story of the Type 34 ended in 1969 after 42,505 cars were manufactured, which is not sad news today's collectors. Despite the somewhat strange and unorthodox car, with its dual front resemblance design, this coupe is an example of brilliant Italian designing, and is quite rare in our days. It won't be easy to find this car in good condition, as there are just several thousand remaining worldwide. It's your choice: a stylish bug Type 14; or a truly collectible Type 34 that is several times more expensive, but certainly ten times harder to find.